It is easy to dismiss the importance of "knowing your students" as either a vacuous platitude or a statement of the obvious. However, the process of coming to know students as learners is often difficult and challenging, particularly if the students are struggling with schoolwork. Knowing students means more than merely acquiring social or administrative information—students' names and ages, something about their friendship circles, a bit about their family backgrounds, a few statistics from their academic record. To maximize learning, we need to dig deeper than this superficial acquaintance. In the past, most teachers did not pursue student information in either a systematic or particularly rigorous way. Instead of gathering and analyzing data for the purpose of learning about their students, they were content to put together a general picture based on tidbits from essays or student journals, a hint from an example of student artwork, a guess from an overheard conversation in the corridor, a comment from a parent or last year's teacher and so on. In some cases, teachers did forge personal connections with students, often when the personality of the student and teacher were compatible or when they shared a common interest (more often than not, this was an interest in the subject the teacher was teaching). In other cases, teachers ended the school year knowing little more about their students than they had at the year's start. Overall, coming to know students was an optional and often arbitrary business. Today, research and experience in increasingly global classrooms are revealing the complex interplay of factors that influence a student's learning. Educators understand that the business of coming to know our students as learners is simply too important to leave to chance—and that the peril of not undertaking this inquiry is not reaching a learner at all. The story of our friend Arthur is a reminder of the consequences of ignoring a student's unique learning circumstances. Arthur was born in the Dutch West Indies, now Indonesia, and had just seen his sixth birthday when the Japanese invaded. For the duration of the war, Arthur, his parents, and his siblings were interred in a Japanese concentration camp in West Java. While Arthur and his family survived the ordeal, life in the camp was hard and brutal. They suffered from chronic hunger, periodic outbreaks of deadly disease, the cruelty of the guards, and an ever-present atmosphere of fear and anxiety. Four years later, following the fall of Japan and the return of the Dutch to Indonesia, Arthur and his family, together with thousands of other camp survivors, were repatriated to the Netherlands, where Arthur was promptly enrolled in a government school. Given the amount of schooling that he had missed, Arthur was placed in a class with children three years younger than himself. There was no question that Arthur's basic skills in writing, reading, and math were considerably behind his peers, but the school made no provision for the intellectual and emotional learning that Arthur had been engaged in during his time in the camps. The school authorities and the teacher perceived Arthur through the lens of his deficits. They focused on the basic academic skills he was lacking—what he couldn't do. Perhaps Arthur's experience was so foreign to these teachers that they were incapable of empathizing with Arthur. Or perhaps they believed that any effort to address his past traumas would only make the present situation worse. Because I was behind in my reading, the teacher treated me as she would a much younger child. She gave me the same books as the other younger students. No one seemed to understand or appreciate my experience. The other children? They were interested in movies and shopping and clothes. All of which I didn't know anything about. They were kind and friendly. I just couldn't understand them. There was nothing I could relate to. I felt as though I had been dropped onto another planet. Unfortunately, Arthur is not a historical anomaly. He has many more recent counterparts in schools around the world: children whose particular personal histories make it difficult for them to thrive within a paradigm of one-size-fits-all schooling. Bill recalls Christine-Apollo, the 13-year-old daughter of a Ugandan diplomat stationed in Tanzania and another war victim. The first thing Bill noted during Christine-Apollo's admissions interview at the international school in Dar es Salaam was that her father did all the talking, and most of it had nothing to do with his daughter. Christine-Apollo presented as extremely shy and withdrawn. Physically, she appeared much younger than 13. Her gaze was downcast and she steadfastly refused to make eye contact. Her facial expression was blank, and her eyes, when she did raise them from the floor, were vacant. Yet she often moved suddenly, casting her gaze around the office like a small animal on the outlook for predators. She was dressed in an ill-fitting, well-worn uniform from a Ugandan government school—clearly a hand-me-down. Her father explained that Christine-Apollo didn't speak English and that her schooling had been "interrupted." As Bill probed deeper, a more complex picture began to emerge. Christine-Apollo did not speak Kiswahili, which is one of the official languages of Uganda, either. She communicated only in her tribal language. She was the daughter of the diplomat's third wife and had been brought up in a bush village in Northern Uganda. For the past four years, Christine-Apollo had been a nomadic refugee in her own country, moving from village to village, hiding from the horrors and ravages of the civil war that raged during the years following the fall of Idi Amin. At the end of the interview, as Christine-Apollo rose to leave Bill's office, she tripped and fell to her knees. Both Bill and her father jumped to help her to her feet. Christine-Apollo was clearly mortified by her tumble. Her father apologized to Bill. "She is not usually so clumsy," he said. "It's just that this is one of the few times she has worn shoes." The childhoods of Arthur and Christine-Apollo were obviously traumatic and illustrate how children's prior experiences can have a profound effect upon their learning. But even children who don't have such traumas in their past bring to the classroom unique sets of experiences, traits, and learning preferences that deeply influence their learning. When we consider the diversity of the children who fill our classes, it seems foolish to think we could treat them all as a single entity. Every student presents us with a different learning puzzle that we must solve in order to give them the best opportunity. That is the goal of personalized learning—to use what we find out about our students as a key to unlock their learning potential. Create a psychologically safe environment for every learner. Determine each student's readiness for learning. Identify multiple access points to the curriculum to increase engagement and success. Develop and demonstrate greater emotional intelligence in the classroom. Let's take a closer look at each of these benefits. As Maslow proposed in his hierarchy of human needs, basic wants must be met before students can turn their attention to learning (1999). After securing food, water, shelter, and safety from harm, people seek as their next most important needs affection, belonging, and esteem. In the process of coming to know students, a caring and interested teacher can develop rapport and trust not just between teacher and student but among students. This trust and acceptance creates a psychologically safe atmosphere in the classroom, which provides the security students need to experience the intellectual discomfort of new ideas and adjust their pre-existing mental models to accommodate new, deep learning. A sense of belonging and being valued maximizes the chances that students will take such risks. Recall Matt from the Introduction, the socially isolated American student attending an international school in Brazil. There is little doubt that Matt had learning issues, but these challenges were exacerbated by his sense of cultural and personal alienation. According to Matt's counselor and learning specialist, what turned things around for Matt was not academic intervention but social connection. He auditioned for the middle school play. Amazingly, on stage, Matt's thick glasses and awkward gait seemed to disappear. He stepped into character and blew away the director and the rest of the would-be cast: "Holy smokes! Matt's a natural. Who would have guessed that he had such acting talent! He is a completely different child on stage!" As word of Matt's success got around, his teachers began to get a new and expanded vision of his potential, and their expectations for him rose. His peers stopped calling him names, and he began participating more in class discussions. He and his teachers worked out a plan for improvement, with new goals and strategies. And with a new community of cast-mate friends, Matt stopped eating his lunch alone. In short, as Matt's teacher and classmates discovered and recognized his strengths—his theatrical talents—his isolation decreased, and his sense of belonging increased. Such a psychologically safe environment is critical for meaningful learning. As teachers, we make decisions and judgments daily about the readiness level of our students. Should we teach Julius Caesar to our 8th graders? What understandings need to be in place prior to introducing the concept of division? At what age or grade should we expect students to be able to produce a five- or six-paragraph essay? These are questions of group readiness. 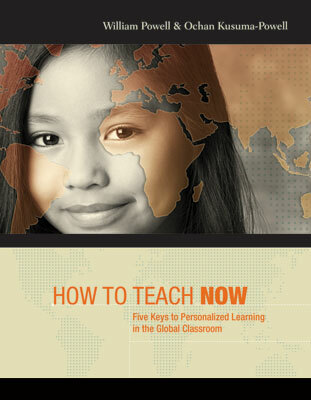 If teachers are to meet the learning needs of a global classroom, they will need to personalize learning, to think of readiness in both group and individual terms. In his classic work Thought and Language (1986), the Russian cognitive psychologist Lev Vygotsky coined the expression "the zone of proximal development." The phrase is often used as a synonym for a child's intellectual readiness for a given task or for the understanding of an abstract concept. The zone of proximal development (ZPD) is a way of looking at readiness, but it is a very specific kind of readiness: the discrepancy between what the child can accomplish independently and what the child can achieve with skillful adult intervention. Mihalyi Csikszentmihalyi (1990) also ties readiness to the demands of the challenge that confronts the learner: "Playing tennis, for instance, is not enjoyable if two opponents are mismatched. The less skilful player will feel anxious and the better player will feel bored. The same is true of every other activity: the piece of music that is too simple relative to one's listening skills, will be boring, while music that is too complex will be frustrating" (p. 50). According to Csikszentmihalyi, "enjoyment appears at the boundary between boredom and anxiety, when the challenges are just balanced with a person's capacity to act" (p. 50). We would suggest that this is the exact location of personalized learning—on the frontier between boredom and anxiety, which, most likely, is not the same for all students in a class. If readiness levels in a class differ, so must the levels of challenge provided (Jensen, 1998; Sousa, 2001; Tomlinson, 2003; Vygotsky, 1978, 1986; Wolfe, 2001). Teachers often think of learning readiness as dependent on the knowledge, understanding, and skills that an individual brings to a new learning situation. However, educators also need to appreciate that readiness is profoundly influenced by an individual's prior learning success or failure, self-esteem, sense of efficacy, cultural norms, social status within the class or group, life experience, dispositions and attitudes, and habits of mind. When we know our students deeply, we are able to consider all these factors and determine individual readiness with greater accuracy—and then pitch instruction more precisely to a student's optimal zone for learning. Because readiness is affected by so many factors, it is not a static condition. Ultimately, student knowledge will let teachers influence readiness, foster and anticipate it, and truly ready students for learning. Frank, our Tanzanian valedictorian who won a scholarship to Harvard, offers an interesting example of how complex the readiness principle can be. There can be no question that when he first transferred to an international school, Frank had the intellectual wherewithal to understand and learn the content of the curriculum. He was intellectually ready and able. But at that point, Frank was not culturally ready. He still did not understand the expectations of the new school culture. As he grew to understand and embrace those expectations, his intellectual and cultural readiness merged, and his learning flourished. Access points are the connections that make the content and concepts relevant to learners, whether through similar experience, or an interest, or tapping into their way of thinking. As teachers get to know each of their students better, effective access points become more apparent. Access points are often areas of student strength. In the case of Nicolas, it was his talent in drawing and his "need" to express himself in that way. For Nicolas, combining his preferred method of expression with a story that involved cultural self-discovery proved to be a powerful invitation to learn. The effort to come to know students is often accompanied by increased teacher emotional intelligence. As teachers learn about their students as individuals, they should enjoy greater flexibility of thought, greater empathy, greater patience, and more accurate attribution of responsibility—that critical balance between student responsibility and teacher responsibility, which so often we get wrong because we don't know or haven't taken into account all the influences on a student's learning. When teachers become more emotionally intelligent, they benefit as much as their students do. When teachers develop emotional intelligence, they are able to frame questions about students and suspend negative judgments. For example, we can put aside the notion that Rupa may be lazy and instead ask how her previous schooling may be affecting her present performance. Emotional intelligence is particularly valuable in the global classroom, where students' experiences, expectations, and norms may be very different from the teacher's. To help you meet the challenge of coming to know your students, we recommend developing student learning profiles to capture five important dimensions of learning identity: biological traits, cultural and societal factors, emotional and social influences, academic performance, and learning preferences. You won't acquire all of this information at one time, but as you continue to collect and compile student data, a meaningful and useful learning profile should emerge. Include child's gender, age, physical development, physical disabilities, health, motor skills, coordination, and diagnosed learning disabilities. Biological parameters for learning are defined to some degree; however, they are malleable with appropriate context and support. For example, it is certainly not uncommon now to see teachers wearing wireless clip-on microphones that are connected to a hearing device for a hearing-impaired child. Computer software makes it possible for students with visual impairments to attend and participate in the general education classroom. We also know that children with attention deficit disorder (ADD) or autism spectrum disorders are educable, and our knowledge of these biological traits allows us to construct meaningful and worthy learning objectives for these children. As a wise sailor once said, "While we cannot control the wind, we can adjust our sails." Several years ago we were privileged to observe a very creative science teacher at Escola Graduada in São Paulo, Brazil, as he "adjusted his sails." The teacher was concluding a lab with his 10th grade students, who were measuring their lung capacity by blowing into probes and then observing how the strength of each "blow" could be graphed on a computer screen. However, one student—Mauricio—was unable to participate in this engaging activity because, having been born blind, he couldn't see the graphs. So the teacher had Mauricio blow into a balloon and then measure the circumference of the balloon with a piece of string. From this, Mauricio was able to calculate the volume and infer his lung capacity. The teacher's final instructions to Mauricio were, "When you are finished, you will have to answer exactly the same questions as the other students." The methodology was personalized; the learning outcomes were not. Knowledge of a child's biological learning traits can also help a teacher more accurately interpret classroom behavior. For example, it is all too easy for us to fall back on the labels of "lazy," "defiant," or "willful," when, in fact, there may be a biological cause for a student's behavior. This information might be gleaned from the child's medical history, family history, and developmental progress. We are learning now that even gender (which in the past some regarded largely as a sociocultural influence on learning) is a biological trait, in that there are some distinctive physiological differences in the male and female brains (King & Gurian, 2006). Include child's sense of stability, both now and in past; economic status; ethnic and racial background; cultural identity; language; religion; norms and values; and gender expectations. A number of years ago, Bill was interviewing prospective IB scholarship students at the International School of Tanganyika in Tanzania. One student had already completed the first year of the 6th form (equivalent to 11th grade or the first year of the IB diploma program). Bill was curious as to why the student had "dropped out." When he asked about the circumstances, the boy replied that he had left his previous school because the food there was bad. Bill was incredulous. Tanzania was a desperately poor African country. At the time, less than 5 percent of the population was privileged enough to extend their education to the 6th form, and here was a student who had turned his back on such a tremendous opportunity because he didn't like the food in the school canteen! Later, when Bill mentioned this "immature and spoiled" student to a Tanzanian colleague, he was gently reminded that the boy's previous school had been a boarding institution in a region of the country devastated by famine. In all likelihood, the school didn't have any food to provide for its students. Societal influences like famine, war, and economic prosperity or the lack of it play a significant role in the availability, quality, and nature of learning. Cultural identity is equally influential, affecting not only the expectations and values students hold, but also their very thinking. Richard Nisbett (2003) from the University of Michigan proposes that students from different cultures actually think and, to some degree, learn differently. He suggests that people hold the beliefs they do because of the way they think, and they think the way they do because of the societies they live in. Nisbett relates the story of Heejung Kim, a Korean graduate student of psychology at Stanford University. Kim was exasperated by her professors' constant demands that she speak up in class. Failure to speak up in class, her professors told her, might indicate a lack of understanding on her part. What's more, by not talking, Kim was limiting classroom interaction and, therefore, limiting her own learning and the learning of her classmates. Kim wasn't buying it. She felt that she and her fellow Asian and Asian American students would not benefit from speaking because their fundamental way of understanding the material was not verbal. For Kim, this was the essence of the difference between Western analytic thought and Eastern holistic thought. Kim tested her theory by having people speak out loud while solving various complex problems. This had no effect on the Western European and Caucasian American students. They were just as successful—or just as unsuccessful—at solving the problems regardless of whether they were speaking or silent. However, speaking out loud had a very deleterious effect on the problem-solving performance of the Asian and Asian American students. While we are not suggesting that it is unimportant for Asian students to participate in class discussions, we are suggesting that we who teach in culturally diverse classrooms are wise to remember the words of Samuel Huntington (1996) in his book The Clash of Civilizations and the Remaking of World Order: "In the emerging world of ethnic conflict and civilization clash, Western belief in the universality of Western culture suffers three problems: it is false, it is immoral, and it is dangerous" (cited in Nisbett, 2003, p. 220). Include family structure, family history, recent change or loss in the family, attitude, disposition, peer status, and self-esteem. When Ochan was a child, many of her teachers operated on the understanding that the classroom was an academic setting in which emotions had no place. During a time when Ochan's grandmother was in a coma and dying, her grades took a nosedive. After Ochan explained what was going on and confided her fears about her grandmother, the teacher's response was to tell Ochan, "Home is home, and school is school. We are here to learn. Best to leave your emotions at home." We know now that such a notion is impossible. None of us can separate our cognitive and emotional lives; they are inextricably bound together (LeDoux, 1996; Pert, 1997). When a child has had an intense emotional experience, we must expect that experience to influence the youngster's ability to attend in school. These experiences can range from the grief of the departure of a friend (all too common in our very transient school communities) to the anxiety of a family member's illness to the terror of witnessing a violent altercation between Mom and Dad. Attitudes and dispositions teachers see in school are the exterior manifestations of students' internal emotions. For example, May Ling appears withdrawn and anxious in the company of her classmates. How might this apparent insecurity affect her acquisition of language? Rupa seems to have a great aversion to making mistakes. She is visibly ashamed when the teacher points out a spelling or grammatical error. How might Rupa's obsession with "the right answer" affect her willingness to take intellectual risks? Research in social psychology (Aronson, 1999) confirms what most of us know intuitively—that life tends to be easier for attractive, wealthy individuals who belong to the dominant culture and race. As a generalization, this is also true for students in our schools. It is easier to succeed in school if you are physically able and attractive, affluent, and a member of the dominant culture or race. In a typical classroom, even in primary school, students rank themselves and each other in terms of success as students (academic status) and perceived attractiveness and popularity (peer status). Elizabeth Cohen (1998) notes that "low status members [of the class] talk less than others, [and] when they do speak up, no one takes their ideas seriously, and other members may not even listen to what they have to say. Low-status group members have trouble getting their hands on materials for the group task; they may even be physically excluded" (p. 19). Consequently, low-status children learn less effectively and less efficiently than their high-status counterparts. We saw a vivid example of this phenomenon at the International School of Tanganyika in the 1980s, when the student body included a significant number of Zambian children whose fathers worked for the TAZARA Railroad (the rail line that links Dar es Salaam, Lusaka, and the Zambian Copper Belt). The "otherness" of these students was primarily related to their socioeconomic status. The "TAZARA children" looked different from their Zambian classmates. They generally wore secondhand uniforms and did not bathe regularly. They didn't engage in the same leisure-time activities as the other children, and their frames of reference were different. It became clear that the TAZARA children were becoming a "minority" group within the school and were perceived by their peers to have lower status. This perception unquestionably inhibited their learning. Cohen (1998) has suggested that teacher awareness of student status can be a starting point to making cooperative learning groups equitable. By assigning group work that requires multiple intellectual abilities and forming groups so that no one person has all the capabilities, the teacher creates a learning situation that requires group interdependence. The teacher can then deliberately search out opportunities to assign competence to low-status students. As Cohen puts it, "if the teacher publicly evaluates a low-status student as being strong on a particular multiple ability, that student will tend to believe the evaluation, as will the other students who overhear the evaluation" (p. 21). Cohen also points out that the effective assignment of competence must have three essential features: (1) the evaluation must be public, (2) it must be genuine and true, and (3) the skills or abilities of the low-status student must be made relevant to the group task. Assigning competence to low-status students is not just about increasing or enhancing self-esteem. It is also about modifying the expectations that other students have for the low-status student. There is, however, a caution. The low-status student knows what he or she has done, so a false or disingenuous assignment of competence will do more harm than good. We have found that a very simple way to assign competence to a low-status student is through the use of paraphrasing. Paraphrasing sends three important messages: (1) I understand or am trying to understand what you're saying, (2) I value your ideas, and (3) I care about you as a person. These are messages that every student, but particularly a low-status student, needs to hear. Includes evidence of child's concrete or abstract thinking skills, reading skills, attentional focus, past success, oral language development, written language, proficiency with sequencing, proficiency with categorization, and proficiency in identifying logical arguments. When teachers investigate a child's academic performance, more often than not they do so by examining and analyzing a piece of student work. This effort requires cognitive empathy—trying to get inside the cognition of the child to see what is being understood and what is being misunderstood. If we were examining a student's solution to a mathematical problem, for example, we might ask ourselves, "What evidence do we see of conceptual understanding? What 'sense' can we make of the child's mistakes? Is this a problem with calculation? Is it a language issue? What hunches do we want to use to frame questions for further investigation?" Cognitive empathy is what distinguishes good and great teachers. Think of May Ling, who was an enigma to her teachers. She was orally fluent in English yet unable to generate any written expression that demonstrated depth of thought. One teacher decided to have a private conversation with May Ling to try to pin down what she understood from her reading of the social studies text. It soon became apparent that May Ling had developed social language in English, Cantonese, and Danish but lacked the academic language that would allow her to engage in abstract thought. For years, May Ling had masked her lack of comprehension behind a veneer of social graciousness. When teachers talk about a student's academic performance, we often use the term "ability." We talk about the challenges of teaching to a mixed-ability class or the delight of watching a high-ability student go beyond our expectations. Given how frequently teachers use the term "ability," it was a surprise to us that in Carol Ann Tomlinson and Jay McTighe's book Integrating Differentiated Instruction and Understanding by Design (2006), they avoid the word almost completely. They even substitute the term "readiness grouping" for the more familiar "ability grouping." Why, we wondered, would two best-selling authors deliberately use a phrase that would be unfamiliar to many, if not most, of their readership? We paused to examine our assumptions about the word "ability." Is ability synonymous with the student's present level of academic performance? Or does ability imply a natural aptitude and talent? Is there something about one's ability in a specific subject area discipline that suggests potential for future success or failure? How malleable is ability? What is the relationship between ability and potential? What is the relationship between a teacher's perception of ability and how he or she constructs expectations for a given student? What is the relationship between teachers' expectations and student performance? What an individual identifies as the cause of his or her success or failure can have a profound influence on future learning. For example, if a student routinely attributes his failure in mathematics to sources outside his control (e.g., to the complexity of the subject or a lack of native intelligence), there is a good chance that he may develop a "learned helplessness" in mathematics. If he believes the sources of his difficulty in math are beyond his control, the "smart" thing to do is to stop wasting any more time on the subject. In this way, a student can develop what Carol Dweck (2006) refers to as a "fixed mindset." Teachers are equally susceptible to this, and the consequences of our making judgments about student ability can be dire. We, like Tomlinson and McTighe, prefer the term "readiness" to "ability" because readiness suggests malleability. It is something that can change and be influenced by skilled instruction, and it will vary considerably depending on circumstance, topic or subject, and a student's developmental stage. Ability, by contrast, suggests innate talents over which neither the child nor the teacher has much influence. We suspect that teachers are much better able to judge a student's readiness for the next learning challenge than they are a student's ability to tackle that challenge. A substantial body of research supports the importance of teachers knowing the level of student readiness. Longitudinal research conducted by Hunt and colleagues in the 1960s established two features of effective personalized learning. First of all, more effective learning takes places when the amount of task structure by the teacher matches a student's level of development (Hunt, 1971). In other words, students who are functioning at a fairly concrete level might require very explicit and sequential task instructions, whereas students who are thinking more abstractly might benefit from task instructions that are deliberately open-ended and "fuzzy." Second, there is a strong relationship between student achievement and a teacher's ability to diagnose student skill level and prescribe appropriate tasks. In a study of 250 classrooms, Fisher and colleagues (1980) found when individual students worked at high success levels, the students overall felt better about themselves and the subject they were studying and learned more. These authors go on to suggest that a success rate of about 80 percent is probably optimal for intellectual growth. This suggests that students who are achieving at a success rate significantly over 80 percent are probably being underchallenged. (What does this say about our straight-A students?) Put another way, student achievement is not likely to improve when teachers ask students to practice what they already know and can do reasonably well. In a five-year research study, Csikszentmihalyi, Rathunde, and Whalen (1993) found an important correlation between student readiness and student motivation. The researchers studied over 200 teenagers, pursuing the question of why some adolescents become committed to the development of their talents while others become disengaged and neglect talent development. The findings show a strong correlation between the complexity of the tasks developed by the teachers for the students and the individual skill level of a student. Students who had good skills but were underchallenged demonstrated low involvement in learning activities and a decrease in concentration. At the other end of the spectrum, students whose skills were inadequate for the level of challenge demonstrated low involvement, low achievement, and declining self-worth. This mismatch not only failed to stimulate or challenge students but also undermined both their competence and confidence as learners. The researchers write: "This situation, which accounted for almost a third of the observed classroom activities, consisted mostly of reading, watching films, and listening to lectures" (p. 186). According to these researchers, teachers who are effective in developing student talents craft challenges commensurate with student readiness levels. By varying the degree of dependence or independence of the learning activity (e.g., task complexity). This can take the form of the teacher dividing complex tasks into manageable chunks for students who might otherwise be overwhelmed. By modifying the task clarity or "fuzziness." On occasion, students benefit from deliberately vague instructions. This may especially be the case when the assignment involves creativity or imagination. By varying the degree of structure or open-endedness of the learning activity. Depending upon the readiness of the students, a teacher can either provide a graphic organizer (e.g., a Venn diagram or a T chart) or have the students develop their own visual organizing structure. By teaching or reteaching particular skills in small groups as students need them (Tomlinson & Allan, 2000). It is clear that teacher adjustments that accommodate student academic readiness enhance both student achievement and student attitudes about learning. Include interests, intelligence preferences, learning styles, production styles, and environmental influences. Although identifying and sorting student learning preferences may seem time-consuming, the dividends your students will reap should more than compensate. Having a student lie on the floor to read his book rather than sit in a chair, letting a student explore the concept of life cycles through her passion for beetles, assigning a drawing rather than a writing project to an artistic student—these small modifications can make big differences in the learning that takes place. Interests. There is a considerable research base to support a strong correlation between the degree of student interest and levels of student motivation, achievement, productivity, and perseverance (Amabile, 1983; Torrance, 1995). Csikszentmihalyi and colleagues (1993) have found that student interest is as critical to talent development as the match between task complexity and student readiness for the task. According to Glasser (1988), students who are interested in what they are learning are motivated to pursue learning experiences of ever-increasing complexity and difficulty. There is also a significant correlation between students' interest in the learning content and their willingness to persevere in learning tasks that are momentarily not interesting. Another important correlation to emerge from the research on student interest and choice is that students who are engaged in work that interested them were overwhelmingly more able to see connections between their present work in school and their future academic or career goals. These connections form the foundation of commitment to future learning and foster self-directedness (Cziksentmihalyi et al., 1993). There are two types of student interests useful in planning for personalized learning. Pre-existing student interests are those subjects, topics, and pursuits about which an individual student has an existing curiosity or passion. They may be interests explored at school (areas of the curriculum, extracurricular activities, or athletics) or outside interests in which the student readily invests time and energy. Relevance to the student is obvious and engagement is immediate. Potential interests are topics, activities, or pursuits that the student may not have yet discovered or been exposed to, but that may prove to be ongoing. Potential interests are as powerful as pre-existing interests, but a teacher needs to mediate their relevance for the student. Effective teachers pay attention to both pre-existing and potential interests. Whenever you can link the classroom curriculum to student interest, you tap into internalized achievement motivation—where goals are personal, motivation comes from within, and achievement is deeply meaningful. Mediating connections between classroom learning and student interests is one of the most powerful strategies that teachers can employ toward the goal of creating enthusiastic lifelong learners. During a unit on religious knowledge in our IB Theory of Knowledge class, we asked the students to write about how they personally came to knowledge through faith. Both Jorgen, a militant atheist from Sweden, and Samir, a devout Jordanian Muslim of Palestinian extraction, wrote particularly well-organized, articulate essays. As a follow-up, we asked the class to undertake a self-analysis of their arguments for "confirmation bias"—the tendency all of us have to perceive only that which confirms our pre-existing ideas and prejudices. A rich and respectful discussion ensued, with Jorgen and Samir—both fascinated by God but taking polar-opposite positions—driving the conversation. It was a vivid example of how student interest can support deep, critical thinking. Intelligence preferences. General consensus in education today is that intelligence is not monolithic but made up of many elements. Educators also view it as malleable, subject to a wide variety of influences (Nisbett, 2009). Howard Gardner's (1993) model of intelligence, identifying eight specific types of intelligence, has been popular with teachers, but many who find it fascinating intellectually also find it cumbersome to apply to classroom instruction. Gardner himself is quick to point out that his theory was never designed for classroom use. Teachers may find Robert Sternberg's (1985) framework of intelligence preferences easier to use. Sternberg proposes three intelligence types: analytical, practical, and creative. Analytical intelligence is the intelligence most often recognized and rewarded in schools. Students with strengths in this area learn well with traditional school tasks such as organizing information, perceiving cause and effect, logical analysis, note taking, and predicting implications. Practical intelligence is about relevance. Students with strengths in this area need to solve problems in a meaningful context. Their learning is supported when teachers offer connections with the real world outside the classroom. These students need to see concepts and skills at work. Creative intelligence involves approaching ideas and problems in fresh and sometimes surprising ways. Students with strong creative intelligence are often divergent thinkers, preferring to experiment with ideas rather than "work" like everyone else. All people have and use all three intelligences, but we vary in particular preferences and in combination of preferences. These preferences may be shaped by "brain wiring," culture, gender, and personal experiences. It makes sense for teachers to support students as they develop their intelligence strengths while providing opportunities to expand their nonpreferred areas. Sternberg's model has been well substantiated by research studies of students from primary school through university level. His findings suggest that students can make significant gains when teachers both permit them to explore ideas using their preferred intelligences and teach regularly in all three modes, which deepens student understanding and enhances retention. Learning styles. In recent years, educators have seen some controversy arise over the issue of learning styles. Willingham (2009) and other critics argue that there doesn't seem to be much evidence that children and young adults learn in fundamentally different ways. In fact, in a September 2009 posting on the Washington Post website, Willingham called learning styles "bunk." This is a remarkable conclusion that flies in the face of what people know intuitively about learning and what educators have learned from observing our students in the classroom. In his book Why Don't Students Like School? (2009), Daniel Willingham asserts that there is no neuroscience research that supports the use of learning styles in schools. This may be true. But there is also no neuroscience research that establishes the influences of temperament or personality on learning. However, for hundreds of years, teachers have known from experience how powerful these influences can be. There is no question that certain approaches to learning work better for some children than for others. No one, to our knowledge, is suggesting that we use a learning style inventory to pigeonhole children, and no one is suggesting that children's learning style proclivities may not change from situation to situation. The reality, as we see it, is simply that because many children find learning to be a struggle, teachers are obliged to do what they can to make it easier. Being aware of learning style preferences and building them into instructional planning is one way to do this. Modality preferences refer to a student's preferred mode of taking in information—visual, auditory, kinesthetic, or tactual. Each of us uses all four modalities when we learn, but in different combinations of preference. The largest proportion of the population tends to prefer visual learning; these are students who greatly benefit from a graphic display of the material to be learned. The next-largest groups are those who prefer kinesthetic and tactual learning experiences. (Several of our special education colleagues from schools around the world have observed that a significant number of boys with learning disabilities have a preference for kinesthetic learning; ironically, these are the same students teachers often require to sit still for long periods of time.) The smallest proportion of the population tends to prefer auditory learning. That auditory learners are a minority in our classrooms is significant, given our proclivity as teachers to fill the classroom with teacher talk. Each modality preference may present challenges to learning, but each also offers opportunities for personalizing and ought to be considered during instructional planning. Figure 1.1 lists some activities that may be problematic or helpful for each type of learner. Environmental preferences are the conditions under which a given student works best. Does Frank do his best thinking in the morning or afternoon? Does Rupa become distracted when the classroom is too warm or too cold? When Matt is struggling to read, does he do better in a hard, straight-backed chair or when he is lounging on a soft pillow on the floor? Grouping preferences refer to a student's favored interaction—working alone, with a partner, in a small group, or in a large group. Production styles. Allied closely with learning styles, production styles are preferred ways of expressing learning, including through speech, through written language, and through various visual modes. For example, an easily managed model of production styles might ask students to self-select into four different groups: writers, performers, builders, and artists. The students would then be given a learning task that corresponds to their preferred mode of expressing their learning. Several years ago, Susan Baum and Hank Nichols led a workshop on differentiated instruction at the International School of Kuala Lumpur in Malaysia. They asked the entire teaching staff to take a quick individual inventory of their preferred and nonpreferred production styles. The teachers were then grouped together in their least-preferred production style and given the following simulation task: Design a product that shows the social and economic structure of a medieval European town, illustrating the relationships between economic classes and different forms of power and authority. As you might predict, the products were awkward, unrefined, and lacking precision. The participants were also noticeably frustrated. Susan and Hank then regrouped the teachers into their most-preferred production style and assigned the same learning task. The new products showed richness and creativity and a depth of understanding that had been entirely absent in the previous products. Had these teachers reached a greater understanding of medieval Europe in the previous half hour? Perhaps, but we suspect not. We suggest that there is a positive correlation between the complexity and sophistication of understanding and learning that a student can demonstrate and the degree to which he or she is permitted to use a preferred production style. We know that the anxiety and stress of being compelled to work in one's least-preferred production style can actually serve as an obstacle to cognition. The medium does affect the message. Another significant learning that emerged from Susan and Hank's workshop was that teachers tend to be profoundly suspicious of their own least-preferred production style. We heard a number of teachers express concern that it was simply not possible to demonstrate the depth of understanding in building, for example, that you could in writing an essay. Another teacher dismissed a visual representation of knowledge (e.g., a poster) as a "soft option." However, when evaluated objectively against a precise and common rubric, each of these production styles can yield products that are rich in conceptual understanding. We, as teachers, need to be aware of our own learning prejudices. Allowing student choice is a powerful learning tool, but it's an approach that can sometimes get out of hand and actually impair learning. Carolyn Brunner, the director of the International Center for Learning Styles at SUNY—Buffalo, sets out three nonnegotiables students must follow if they wish to alter planned activities in order to use their preferred learning styles: (1) the student's grades must either remain the same (if they are already acceptable or good) or improve; (2) the student's behavior must remain constructive and appropriate (if it is already so) or it must improve; and (3) the student's use of the preferred learning style must not interfere with anyone else's learning (Brunner, 1994). The work of knowing students deeply as individuals and compiling a learning profile for each one may seem daunting, especially given the limitations of the classroom day. Specialist teachers in elementary schools (music, art, PE, etc.) and middle and high school subject-area teachers often see more than a hundred students each week. Those teachers can understandably ask, "How it is possible to come to know all my students as learners?" While each child is a unique learner, it is often more helpful to think of each child as a unique combination of common learning attributes. So, by coming to know one child as a learner, you are actually coming to know the learning attributes of many children. In other words, by knowing what works in the classroom for one kinesthetic learner, you know what works for many kinesthetic learners. To help you get started with compiling learning profiles for your students, let's look at some sources and strategies for gathering data, framing probing questions about each student as a learner, and developing hypotheses for how best to personalize instruction. As teachers, it is natural for us to be concerned about the students in our classes who are struggling. As a result, we tend to focus on student deficits (what a student is not yet able to do) as opposed to student strengths. Creating a student learner profile can provide a way to shift this focus and "unmask" success. We have developed a series of questions that teachers might want to ask themselves as they develop a learner profile. The questions are categorized under the five dimensions of learner identity. In what ways might the child's gender be influencing learning in the classroom? Is there anything in the child's medical records that indicates a condition that might impact classroom learning? Has the student been diagnosed with ADD/ADHD? Has the student been identified as highly capable? What is the child's dominant culture (or cultures), and how might it (they) be influencing learning? How do you think the child perceives the role of the student? If you were to ask the child what the word "learning" means, how do you anticipate the child would respond? What might be some ways that you could support the child in coming to better understand the culture of the school? If the child's first language is not English, how might this linguistic diversity enhance achievement in the classroom? What are the socioeconomic circumstances of the child's family circumstances? What is the family's primary language? What is the student's prior school history? Does the student prefer to work alone or in groups? When have you seen the student take on leadership responsibilities? How would you describe the student's interpersonal skills? When is the student most self-directed? What are the child's strengths as a learner? Under what conditions have you seen the child doing his or her best work? What are you noticing about the environmental influences on this student's learning? What activities does the child engage in after school or during recess? If the child were to design a field trip, what are your hunches as to where he or she might choose to go? What have you noticed about the child's preferred learning styles or intelligence preferences? In what ways does this student most prefer to demonstrate learning? What have you learned from your analysis of this student's work, and how will this influence the design of future instruction? There are a number of ways that teachers can gather data about their students as learners. Three of the most commonly practiced are examining past records, interviewing the child and/or parents, and engaging in structured observation of the child. On occasion, a teacher will tell us that she will deliberately avoid looking at previous school records so as to be able to make up her own mind about a child. While we endorse a healthy skepticism toward negative or overly critical comments about a student's capabilities, previous school records can offer extremely useful information, particularly if the previous teacher has included insights about the child as a learner or comments about how and under what conditions the child learns best. When we review previous school records, we like to look for both patterns and discrepancies. What patterns emerge from the child's grades and the teachers' comments? Are there significant discrepancies among subjects, or among school grades and standardized test scores? Is the pattern of achievement on an expected trajectory, or are there unusual dips or spikes in the records? Often teachers will view parent/teacher conferences as a time when the teacher is called upon to report on the child's achievement. This may be one purpose of such a conference. We also like to think of it as an opportunity to learn about the child as a learner. Parents are often very knowledgeable about their children and have useful insights to share. We like to come to such conferences with questions for the parents. Any of the earlier questions about learner identity can be adapted for use in a parent or student interview. Our colleague from UCLA, Barbara Keogh (1998), is fond of saying that a very significant number of the problems and issues that we teachers perceive with student learning—perhaps even most of them—disappear when we engage in regular and deliberate observation of our students. There is something about the act of observation that changes how we perceive students and, as a result, actually reshapes our relationships with them. As Yogi Berra once said, "You can observe a lot just by watching." Suspend judgment. Identify existing conclusions regarding the child, and suspend judgment to enable separation of perception from observation. Collect data. Decide on recording style; collect data. Frame questions. Look for patterns and connections; develop questions. Consistency: Does the student always behave in this manner in other situations and at other times? Consensus: Do others behave in the same way in the same situation? Ochan learned a very efficient way of using clinical observation from a 1st grade teacher at the International School of Tanganyika. In this method, called "sticky note observations," the teacher records brief observation notes about specific children on sticky notes and sorts these notes based on either the dimensions of learner identity or the actual instructional targets, which may be most useful to the teacher in getting to know the child as a learner. At the elementary level, these instructional targets might correspond to learning domains, like fine motor skills, collaboration in groups, and sight word vocabulary. At the secondary level, categories might reflect particular learning objectives or grade-level benchmarks. All the observation notes should reflect a time of day and should be dated. Over time, the teacher can look for patterns, monitor progress, and celebrate successes. Sticky note observations are also extremely useful data when teachers come to frame questions for either parent or student interviews. Expresses empathy (not agreement or sympathy), reflects content, and paraphrases for understanding and clarity. Probes for specificity about the child's interests and strengths. Example questions: What type of outside interests does the student have? Sports? Music? Pets? If the student were to plan a field trip, where might it be to? What hunches do you have about the child's preferred learning styles? What are you exploring regarding the child's intelligence preferences? When have you seen the child at his or her best? In what medium does the child engage most intensely? Supports the colleague in his or her analysis of connections and causal factors. Example questions: What connections are you seeing between when this child learns best and time of day, subject areas, specific learning activities, solitary vs. group work, etc.? Supports the colleague in his or her construction of new learning. Example questions: Over the course of the year together in the classroom, what has this child taught you? How might what you know about this child's strengths influence your goals for the child? Assists the colleague in his or her commitment to application. Example question: As you go into a new situation, how will you apply your new knowledge? Helps the colleague reflect on the coaching process. Example questions: How has this conversation supported your thinking? What has been most useful to you in this conversation? Following the coaching conversation, it is often helpful to record the highlights of the discussion in writing. We find the Student Analysis Instrument shown in Figure 1.2 to be a useful tool for capturing and summarizing coaching conversations about students for the purpose of eventual personalization. Students, of course, can tell us much of what we need to know about them as learners, and asking them to self-report and self-reflect also supports them in coming to know themselves as learners. This is a gift for a lifetime. As students begin to understand the influences and circumstances that bear on their learning, they can take control and make changes to learn most effectively and efficiently. David Suarez, a middle school math teacher at Jakarta International School, personalizes learning for his students by providing them choice in the levels of challenge they face (Powell & Kusuma-Powell, 2007a). After each unit of study, David asks the students to reflect in writing on their choice, the stress it caused, and what they may have learned about themselves as learners. There are numerous published student interest inventories that a teacher can use to get a quick "read" on the areas of interest represented in a classroom. These are particularly useful at the start of a new school year when a teacher may be faced with the daunting task of coming to know a relatively large number of new learners. One of the most student-friendly interest inventories that we know of is the Interest-A-Lyzer, written by Joseph Renzulli (1997) out of the University of Connecticut. The Interest-A-Lyzer comes in versions specifically designed for primary, intermediate (middle school), and secondary (high school) levels. Teachers can build data gathering right into assignments and activities, which not only helps them to know students better but also helps students to know each other. For some activities that yield student data, please see the Action Advice section that follows. As we discussed earlier in the chapter, students need to have a sense of membership in the class in order to learn (Maslow, 1999). Ironically, it is virtually impossible to personalize learning without fostering this sense of belonging. We offer here a variety of inclusive activators to build a sense of classroom membership. Each strategy requires the involvement and movement of all students—no one can opt out. They set norms for participation (that everyone is expected to be actively engaged) and are designed to be icebreakers in that they give explicit permission for laughter and fun. They also can reveal some useful information about students. BINGO. The teacher prepares a bingo sheet with 25 descriptors in five rows and five columns. The bingo card can focus on anything that is currently of interest to the students or that you've recently taught. For example, at the beginning of the year, a bingo card might focus on student interests and include items such as "I love to cook, water ski, read novels, surf the internet, or play football." Another group of descriptors might include, "If I had a job in the film industry, I would like to be an actor, a costume designer, a script writer, or a set builder." Students write the names of other students below the matching descriptor on the bingo card. A name can only be used once. When a student completes a row of five, horizontally, vertically or diagonally, that student stands up and shouts "Bingo!" It is a fun way of having them get to know each other and for the teacher to explore some of their common interests. I prefer to hear about it. I need to move around the room. I like a hands-on activity. Please tell us your name and nationality. What is the best thing about your culture? How do you feel about being here today? You collect stamps or coins. You sing in a choir. You speak two or more languages. You have lived in more than one country. Your favorite subject in school is recess. You are a Boy Scout or Girl Scout. LINEUP. This activity can be used to reveal interesting information about the students, and it is a good strategy for early in the school year when students are coming to know each other. Once all the students have lined up, they can then number off for purposes of flexible grouping. Here are some examples of criteria. Distance born from this room. Have students line up in order of the greatest to the smallest distance between their place of birth and the classroom. Check with each student to find out where they were born. Time in country (state or town). Have students line up in order of how long they have lived in the country, state, town, or city. Check student information against the line for accuracy. Spiciness of chili (or curry or sambal or salsa). Have students line up in order of how spicy hot they like their chili (or curry or salsa). Birthday groups. Have students line up in order of their birthdays (month and day, not year). Have them try to do this in silence, using only hand signals. Tell them that the record time for a group this large is 63 seconds. Once they are in line, you can check for accuracy (optional but fun). City of birth. Have students line up alphabetically according to the city in which they were born. Ask students to tell the class where they were born. Some very unusual locations often surface! SONG TITLE METAPHORS. Divide students into small groups of five or six (no fewer than four) and ask them to identify three song titles that could serve as a theme song for the class or for any concept that they have been studying (e.g., photosynthesis, human conflict, probability). Each group then selects the best song title of the three and either sings a few bars or mimes the title, with the rest of the class trying to guess it.